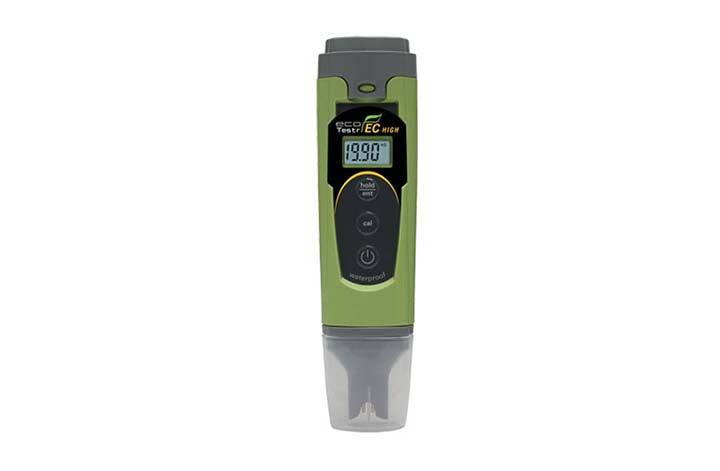 The Eutech EcoTestr EC High features a rugged, sturdy stainless steel pin sensor which gives quick, reliable conductivity measurements that is ideal for a wide range of applications from to 0 to 19.90 mS/cm. Providing up to ±1 % full scale accuracy with the added benefit of manual calibration option for better accuracy with near-to sample calibrations. 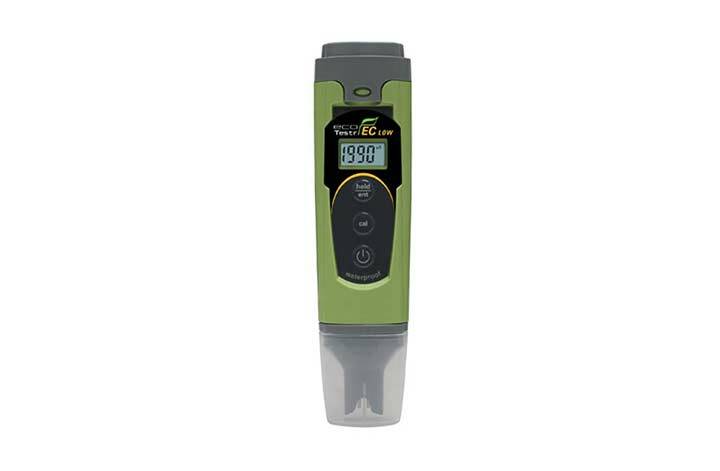 Handy features of this device are the large upright LCD with parameter display and battery level indicator, sensor proctective cap that doubles as a container for samples or calibration solution. Plus a hold function which freezes readings temporaily for ease of recording and a tactile switch keypad lasts longer than the ordinary keypad.